Unlike the fake bolding option found in software programs, Garamouche Bold is a variant with more appropriate thick and thin features. 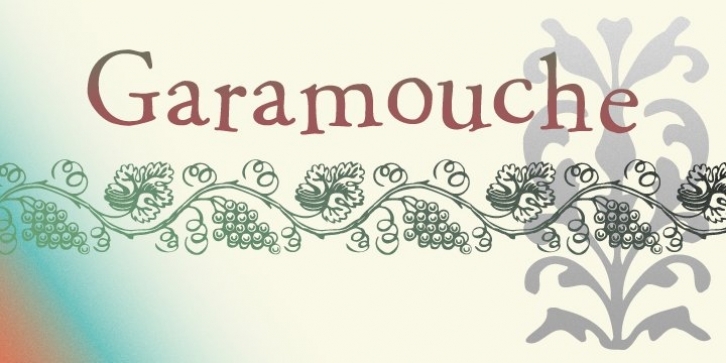 The “dancing along the baseline” that has made Garamouche a favorite, is also a feature in Garamouche Bold, but the letters align and tilt in on their own terms. Using the two Garamouche fonts together can produce much more expressive results than just hitting “bold”. P22 Garamouche Ornaments is a set of 72 ornamental embellishments designed to complement the Garamouche fonts but can be used with almost any layout that calls for historical decoration.